The champagne was popping in Montrose as Sunday night's ratings were the highest for RTE One in over 12 months, with a peaktime share of 40pc of the viewing audience. The first elimination of Dancing With The Stars had viewers hooked to their seats as the third episode delivered the show's highest ratings yet. 646,100 viewers tuned in to watch former Big Brother star Hughie Maughan be given the chop when he landed in the bottom three with model Thalia Heffernan and Operation Transformation's Dr Eva Orsmond. Hughie was the talk of the show for the last two weeks after his fake tanning fiasco saw him receive death threats and accusations of racism from disgruntled viewers online. The third episode had a reach of over 1.2m throughout the two-hour episode. Fair City continues to draw in huge audiences with an average of 610,000 viewers tuning in to watch Dermot attempt to flee Carrigstown after his involvement in Niamh's plot to bankrupt her cheating husband Paul. The RTÉ Nine O'Clock News had it's highest Sunday night viewing figures so far this year with an average of 625,100 viewers and a 40pc share. The top stories featured on the news last night included a PSNI officer being shot and wounded in Belfast, and Trump in a new war of words with media over numbers attending his inauguration. 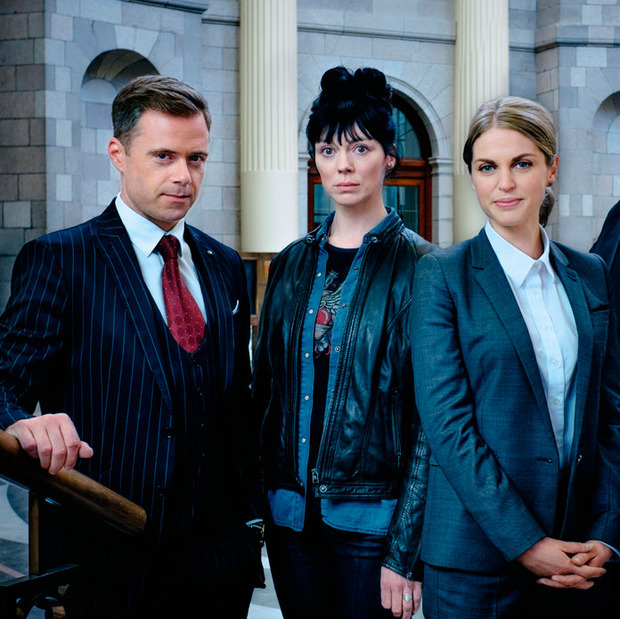 Meanwhile, Amy Huberman's legal drama Striking Out has had viewers hooked since day one and ended it's 4 week run with an audience of 574,000. This gave the show a 39pc share of the audience and was the show's most watched episode.